Landlords are at risk of missing out on more than £850 in rental income a year by not letting their tenants decorate their homes, with bold statement walls a favourite trend amongst renters. New research has found that 20% of renters would pay extra, an average of £72 per month, if they were able to decorate to their own taste and standards. The study conducted by British wallpaper brand Graham & Brown to mark International Wallpaper Week (October 1-7) found that one in five renters currently aren’t allowed to decorate at all – with strict bans on home improvements within their rental agreements. The poll of 1,000 renters also found that more than 43% would stay in a property for longer if they could make their own mark on it. Meanwhile, 44% admitted that being able to redecorate would mean they would take extra care of the property, and 30% would invest money from their own pockets into making sure it looked its best – even though it would only be temporary. In terms of decorating styles, a large proportion (85%) of renters in the UK would consider wallpapering their homes if their landlords would allow it and the most popular trend for decorating amongst renters is feature walls. With as many as 78% of landlords saying they wouldn’t let tenants decorate their properties, the top reasons for openly discouraging home improvements were not having the time to organise it, or not believing the style would suit all renters. Graham & Brown’s research also found that not decorating at all has proven to be costly to landlords, as nearly four in ten (38%) have been put off renting a property – and avoided it entirely – because of its poor, or lack of, décor. 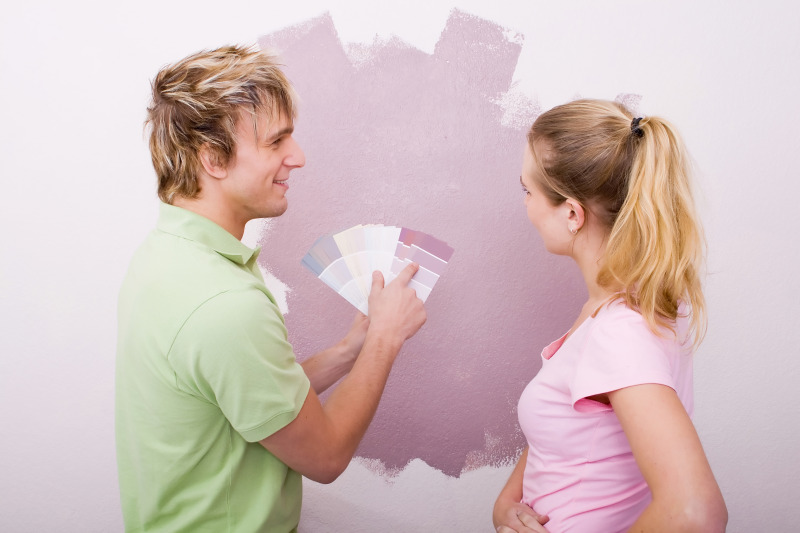 A quarter of renters (24%) have been put off by plain walls and too much magnolia and almost a third (32 %) by coloured bathroom suites. Despite this, there is some appetite for change. When it comes to what landlords are comfortable with in the future, a third (32%) would consider decoration if tenants paid for it, the same amount (32%) would if professionals were hired to complete the work, and 31% if they were able to choose the décor themselves.